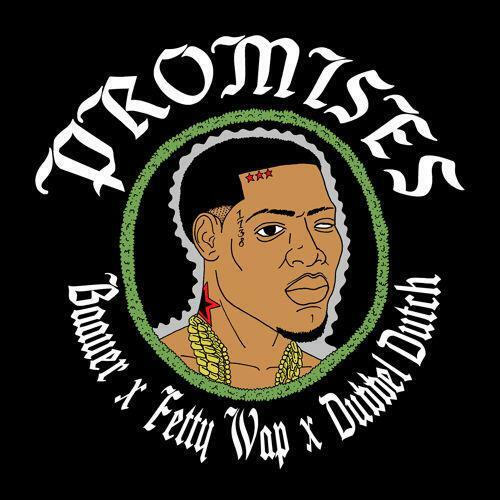 Fetty Wap hops on Baauer's new record, "Promises". Fetty Wap has been inescapable over the last few months, and it's all thanks to one song. "Trap Queen" has slowly made its way up the charts, currently resting within the Billboard Hot 100's top 10. That's no easy feat for a rap song these days, and it could be even more difficult to follow up such a smash. Luckily, Wap has the talent to keep up his momentum. Today he guests on "Harlem Shake" producer Baauer's new record, "Promises," which finds him once again delivering some throaty melodies that ingrain themselves in your head instantly. It's another successful collaboration from Adidas' "Start From Scratch" series.